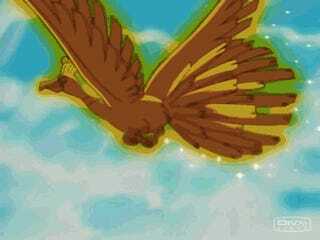 Fabled Ho-Oh - Part 2! Pokemon One a Day, Series 2! Enter Ho-Oh to the record, of One a Day series of illustrations and yesterday’s composition! The Rainbow Pokemon makes his glorious entrance alongside his counterpart Lugia, and the two share the stage in a piece I hope you find this piece fitting to their legendary status as we get ready to say goodbye to Series 2 tomorrow! OK! So, we’re 99 days in and I wanted to go and do something extra special. 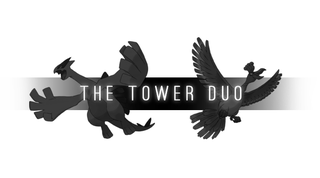 The Legendary Beasts did something new with the shared composition, and I was trying to think how I could do something special for the Tower duo while following in the formula of the beasts. Half-way, I thought I could invert the border that we’re accustomed to seeing to white, which would really brighten up the work big time. It seemed fitting as I worked on Ho-Oh, the rainbow Pokemon who’s background and sun represent hm further. For some reason, the white border excited me quite a bit and then I split the composition down the middle to create even more separation, which creates a strong contrast creating a night and day effect as the two subjects are sort of parallel to one another in many ways. I made both of them reach out of the border, both the side and through the middle to show a sense of togetherness in a tiny way. To make sure the white border was “visible”, I added a frame around the edge to make sure it separated the work on pages like this one which is default white. I thought back to the image I created to announce series 2 and lifted the gold and silver motif from there to here and it worked perfectly. Composition wise, I knew along I had to do something split, and I was worried about putting one on top of the other and trying to create a sense of balance to show they were equal and that Ho-Oh wasn’t stronger because he was above. Yet still, every time I played around with it, Ho-Oh, protector of the skies and rainbow/fire nature fitting of the sun, felt more appropriate above while Lugia, protector of the seas seemed to fit better towards the bottom where he would escape to the ocean floor. Thus, I created the diagonal background (reminiscent of that one Smash speed painting I did) to help give them equal background and let them share the middle of the frame with even space, despite Lugia being larger than Ho-Oh according to the Dex. From there, I fleshed out the subjects, who I posed to be reflecting the other while keeping their heads straight in line. Ho-Oh’s arms raised mirror Lugia’s arms down. I gave their eyes a glow line/flare and made them reflect in the same way to help balance out the diagonal of the background. The backgrounds themselves were painted simply to go straight to the point, depicting their domain. So there you go gang! Whew! I can’t believe how time flies and we’re nearing the end, to hopefully another 50 straight days of illustrating since we took that hiatus after the first 50. Thank you for your support and allow me to take short break before I go in to seal the deal with the Celestial Being, Celebi!